Born and raised in Denver, Colorado, Jamie comes from a family of artists. Art has always been a passion of hers. Coming from a two time generation of Hairstylists, she was never brought up in a direction to do hair but decided to explore the career in high school back in 2007. She instantly fell in love with the art and energy of the industry. 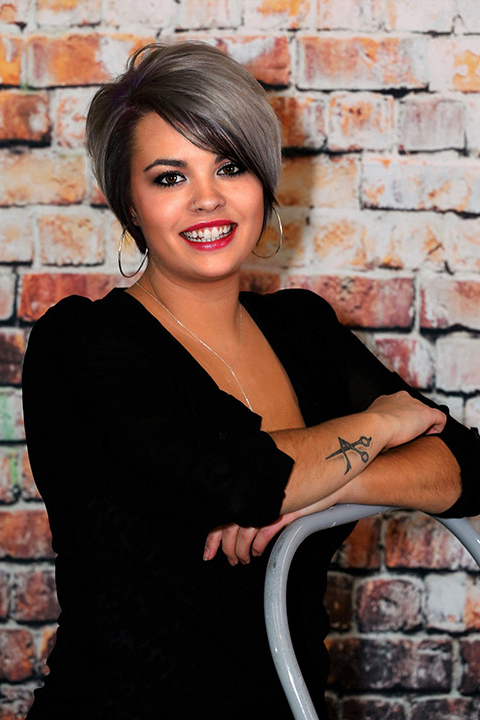 Throughout her career, she has continued to expand her knowledge and education to keep up with industry trends and styles by entering hair cutting competitions, traveling around the U.S for hair shows and volunteering in the community around her home town. Jamie’s well rounded background and expertise has created confidence that ensures she will exceed everyone’s expectations. Jamie’s level of expertise ranges from beautiful glowing highlights with knowledge in multiple hair painting techniques, to men’s clean fashion forward cuts, excelling in woman’s hair cutting and fashion color. Jamie is always up for a innovative challenge and thrives to make you feel like you, only better! She has always said she could never imagine her life without the art of hair and the creative and inspiring aspects it brings. She has felt so blessed to be apart of such an remarkable industry. To find out more about Jamie check out her portfolio on Facebook and Instagram by following @stylistjlc.